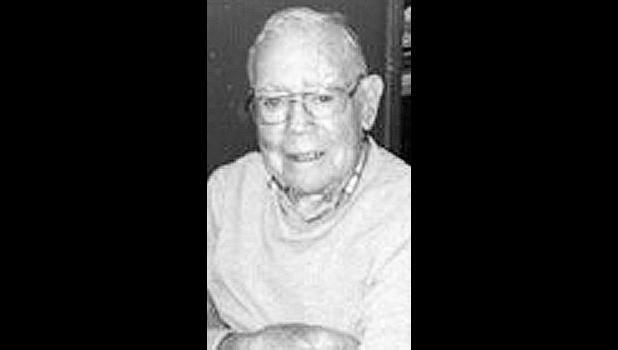 William “Bill” Mortimer McCauley, 98, Topeka, formerly of Great Bend, died Sunday, March 31, 2019, at Stormont-Vail Hospital in Topeka. He was born Dec. 26, 1920, in Holton, the son of Mortimer E. and Jeanette Chrisman McCauley. He graduated from Holton High School in 1938. He spent most of his life in Great Bend and moved to Topeka in 2009. Mr. McCauley was a civilian with the Signal Corps during World War II. He was a parts manager for Foley Tractor in Great Bend, retiring in 1985. He was a member of First United Presbyterian Church and American Legion, both in Great Bend. He also was a ham radio operator. He married Ruth Darlene Spicher on April 13, 1941, in Topeka. She died Aug. 20, 2008. He also was preceded in death by a sister, Lucille Miller; and two brothers, Russell and Fred McCauley. Survivors include a daughter, Melissa Borsick and husband Robert, Topeka; four grandchildren, Kylie Loupe, Connor Loupe, Holly Betts and Lori Koelsch; and six great-grandchildren. Funeral services will be held at 11 a.m. Thursday, April 11 at First United Presbyterian Church in Great Bend. Burial will follow in Great Bend Cemetery. Family will greet friends from 1 p.m. to 2:30 p.m. Sunday, April 7 at Mercer Funeral Home in Holton. Memorial contributions may be made to First United Presbyterian Church, sent in care of Mercer Funeral Home, P.O. Box 270, Holton, KS 66436.